ou’ve just sat down for the big game with a beer in one hand and a slice of pepperoni pizza in the other then a knock at the door occurs. You’ll have to get off your recliner and go to greet the annoying salesperson. He or she will likely try to sell you on an income-protection scheme for 20 minutes of your life. Yet it didn’t have to be this way. Wireless video doorbells, that’s how! What are wireless video doorbells, you may ask? They are a new way to make your life easier and avoid the likes of salespeople and the parents-in-law. We’re kidding of course – salespeople aren’t that bad. These wireless video doorbells are also exceptional products to protect your home by deterring and capturing intruders. More on that later. 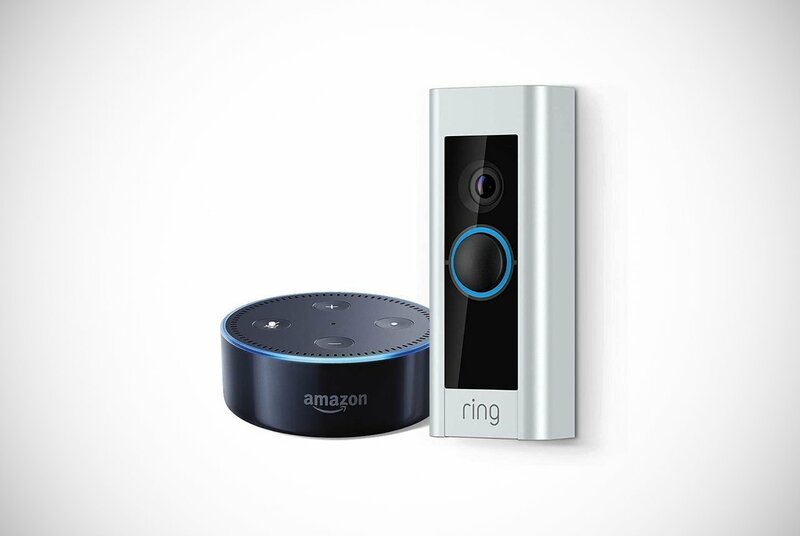 The basic principle of these devices is that when somebody rings your doorbell, you’ll receive a video call to a device of yours. You can then chat with your visitor without standing up wherever you are in your home. These products are surging in popularity and are now being installed by a lot of homeowners. 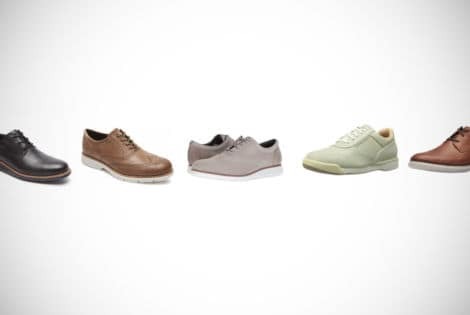 That made us think, so we at Men’s Gear started to take a better look at them and their features. After a good hunt through the current market, we narrowed our favorites down to a shortlist of just 10. If you’re looking through quality wireless video doorbells for your home in order to keep you and your loved ones protected, have no fear. We have you covered with our top ten list of wireless video doorbells below. What Are The Main Things To Consider When Buying A Video Doorbell? Looking through wireless video doorbells for your home shouldn’t result in a quick, snap decision. There are some very important considerations and things to think about before even browsing our list. Many manufacturers are making important features such as recording previous visitors and events available to people who pay extra. This has got a lot of consumers disgruntled. Many of the video doorbells on the market will offer a basic plan for free or little money each month to access certain features. They then offer a premium package that gives people full access to what their camera has captured and other perks. The biggest complaint seems to be that they’re charging people for cloud services. They can be overpriced with this service while simultaneously preventing customers from keeping their recordings on their own storage. These types of plans are connected to a lot of the amazing video doorbells, however. For that reason, some of those pricey types still make our list on some occasions. Most are reasonably priced and have exceptional features worth paying for. We did manage to find others that have scrapped this business model and provided lifetime free cloud service too! 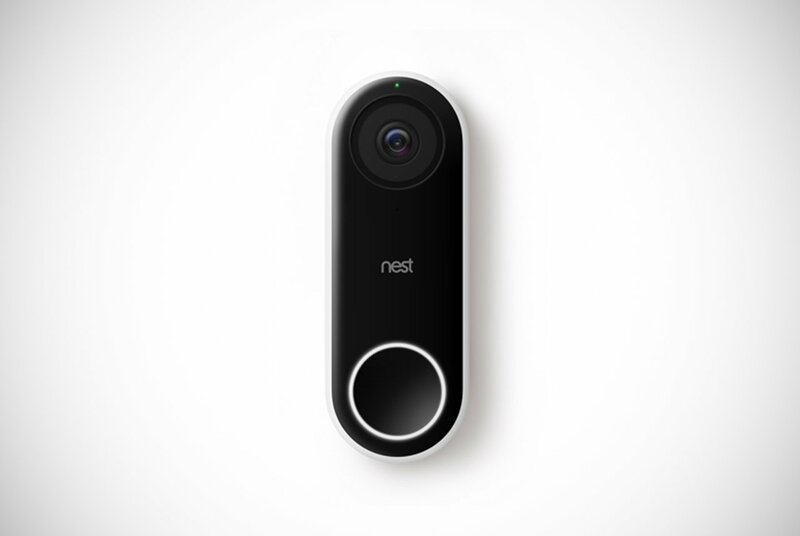 Another key consideration should be the motion sensor that your future video doorbell has. Some motion sensors cannot be zoned into certain areas. This can cause neighborhood pets and blowing leaves to send you countless irrelevant notifications. It’s much wiser to look out for motion sensors that can zone in on areas of your porch. This way, they can only be active during certain hours of the day or use a combination of motion and heat sensors before sending you a motion-detected notification. What Are The Main Benefits Of Wireless Video Doorbells? There are many benefits in replacing your boring old doorbell with one of these new wireless video doorbells. One of the main benefits of these products is that they keep you and your property much more secured. You’ll never again have to open the door to strangers without getting their full story. You’ll also be able to check on your home when you’re not even there. If something is vandalized or if your home is broken into while on vacation, you’ll be able to show the police exactly who it was. This gives you a better chance of getting your manly gear back and can be substantial evidence for tight-fisted insurance companies. Moreover, missed delivery notices will be a thing of the past. This is because you’ll be able to answer delivery driver visits from work. You’ll be able to let them know where your safe place is or which neighbors you trust to leave your online orders with. You’ll also be able to avoid answering the door to nuisance callers who take up too much of your precious time. Overall, these are security gadgets that offer convenience and modern-living satisfaction. You might be worried about the security of the product just as much as your property. It’s a common concern as these valuable pieces of equipment are just stuck on the outside of your house shining to thieves like candy to a baby. However, one of their biggest benefits is that many manufacturers will replace them if the product is stolen! All you’ll need is a police report and the company’s email address and you’ll be secure again at no extra cost. How Do You Install A Video Doorbell? Wireless video doorbells can work by using batteries or they can be attached to the existing doorbell wiring. The ones that are battery-operated are much easier to install. The only downside is that most of these models don’t have the natural doorbell chime. Plus, your new doorbell chime will only be an electronic notification on your device. To install these types of wireless video doorbells, you just have to fix them to the outside of your property with suitable screws. Usually, they are supplied with the product upon purchase. Setup usually takes around ten minutes on average to complete. If you’re going to choose a model that isn’t battery operated and needs to be installed using the existing doorbell wiring, then you may want to seek an electrician. At least, try to find someone with some sort of degree of electrical experience. A lot of manufacturers will say that this is a task capable of anyone, but you’ll know yourself if this is within your capabilities. We don’t want you to be like Tim Taylor on Tool Time and go to the hospital for the 500th time. However, the ER does give a cake on the 500th visit, we’ve heard. The first wireless video doorbells we can’t wait to show you is this phenomenal design by Ring. 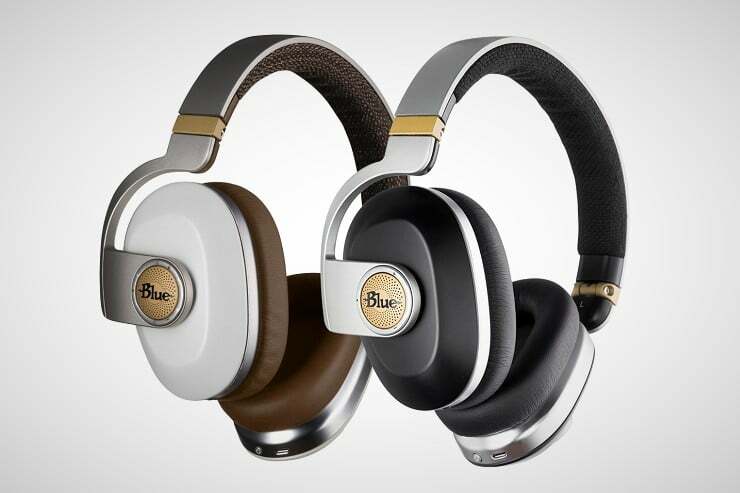 It comes in a choice of three awesome colors and is only compatible with Alexa devices. For those unfamiliar, Alexa is your digital personal assistant connected to Amazon’s Echo range. The doorbell won’t exactly ring inside the house. Well, unless you have existing wires to connect it to. However, there are still many features to get really excited about. When somebody comes around, you’ll be able to hear and speak to those stood at the door from your device. This cool capability can even work in the evening as infrared night vision will let you know who’s disturbing your Netflix binge. You can also do live check-ins to your property’s entrance at any time and view a live stream. This is perfect for when you’re out of town for a few days on business or on a much-deserved vacation. If something untoward is going on while you’re away and you believe your property and valuables may be at risk, you can set off a siren via your device to scare the intruders away. This WiFi doorbell has an HD video camera so every visitor is captured in crisp and pristine quality images. You won’t be confusing your pal Dave and your mother-in-law with this cool product! Even if they both have a mustache. To make things even more appealing, you can install this video doorbell yourself with no experience or Ivy League degree necessary. If it’s stolen, Ring will give you a replacement completely for free! 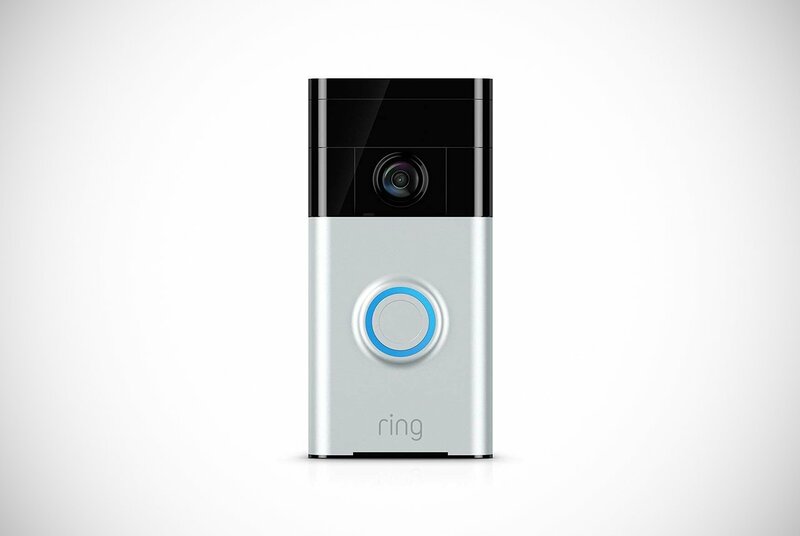 If you’re searching the web for wireless video doorbells that can save the videos it records, then you’re going to have to pay for this service with Ring. They currently have two plans. The first is a basic plan and is not much money per month at all. On this plan, you get cloud features to save your visitors as they approach and stand at your entrance. This is really a security measure to help capture potential burglars. Their premium plan costs a little more each month. However, for this price, you do get an extended warranty, 24/7 surveillance, and other little perks. It’s definitely going to be time to ditch your regular doorbell when you see this exceptional multilingual WiFi video doorbell by Nest. It only comes in black, a sleek and modern touch that will fit the décor of most home entrances. You’ll need a specific type of transformer to get it running. Nest urges you to seek out a professional to install it for you. They have their own team of installers, so is this a marketing ploy or is it really that complicated? We’ll let you decide. The video camera is also HD to make sure you can see every pore on your visitors’ impressed faces. This includes evening dinner guests when the sun has gone down. This is perfect for when you’re out and are checking in on your property or want to direct a delivery driver to your safe space. Major features these wireless video doorbells boast are a night mode and an ability to state pre-recorded messages for when you’re not available, or for specific people and circumstances. 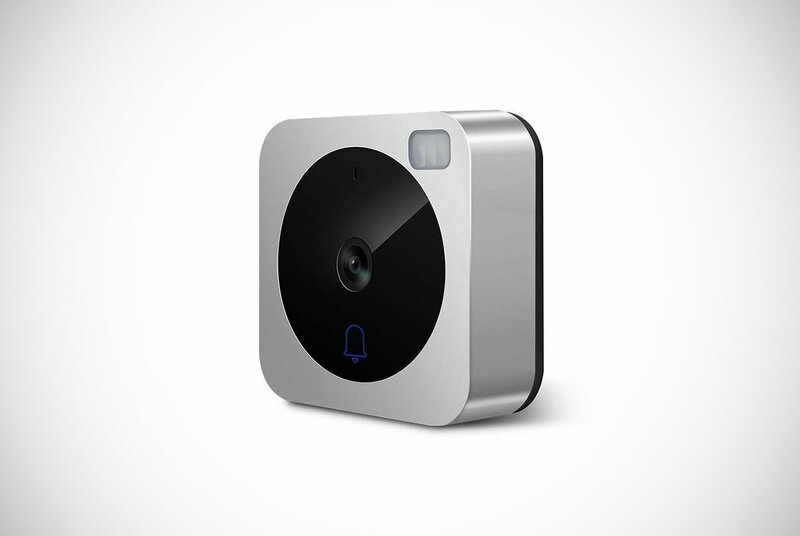 The camera itself gives you a 160-degree view, allowing you to see all around the door to get the proper picture. For extended features, you can subscribe to Nest’s services known as “Nest Aware.” They have three monthly plans that have predominantly the same benefits. These include 24/7 recording, intelligent alerts, smart motion sensors, clips, and time-lapse, and activity zones. Regarding the alerts, you’ll receive an alert to your device when motion or sound is detected outside your door. However, face notification alert system is the best part of this. The camera will pick up on familiar faces of friends and family to alert you when they’ve arrived. What makes these three plans differ then? They differ on price because they can store different lengths of video history. These range from the past five days, the previous ten days, and the most expensive plan that offers full access to all your history. Alternatively, without a subscription, you can access a snapshot of the past three hours. Which subscription would you get? First impressions matter and the Honeywell wireless video doorbells are a great way to make them matter. Great news, there is no subscription required with Honeywell. Instead of a subscription, it works great with just a free application that can be downloaded to your device or smartphone. It has been manufactured to withstand harsh climates and extreme weather. This makes it perfect for those without a porch or covering above their entrance. You can pair these wireless video doorbells up with Apple products as well as Android devices. You can even connect them to Amazon’s Echo range. This model enables two-way communication with your visitor through an HD camera and walkie-talkie-type system. You’ll have to let go of the button to allow the other person to speak, roger that? 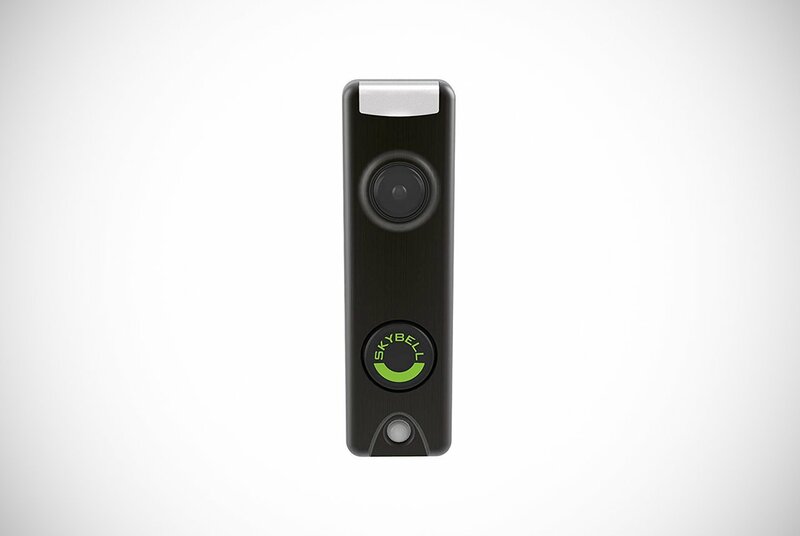 It has a motion sensor that will alert you of activity, whether the doorbell is pressed or not. This will be great to make you aware of potential intruders. Other security features include the option to start live streaming at any moment. This will allow you to respond to any motion detected or to see who you’re missing a visit from. It has night vision in color allowing you can be sure of your guest before opening your door. The night mode will turn off the doorbell’s chime, so you can shut out the world for when the big game is starting. One last feature worth a mention is that this product is supplied with a mounted wedge. This wedge angles the camera so you can see more of your guests and improve your view of blind spots. Another fantastic addition to our list of best wireless video doorbells is this August Doorbell Cam Pro. 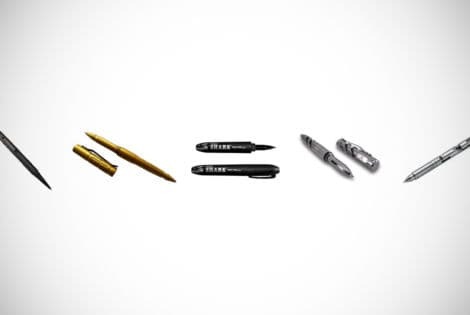 It has a sleek and modern design with a ring that lights up on a smooth black surface. 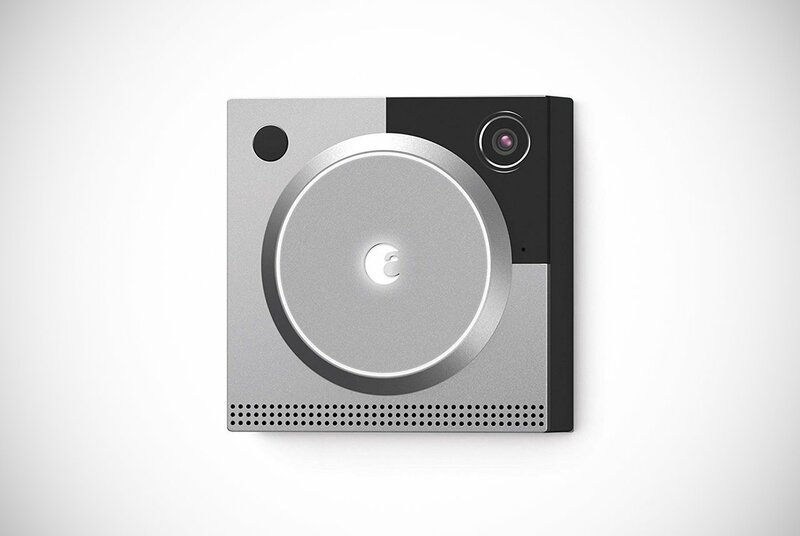 You can pair this video doorbell up with all the big players such as Apple, Android, and Amazon. If you want to marry it with an iPhone or iPad, you’ll need to make sure it has iOS 9.0 or higher. Meanwhile, Android owners will need to check their device has been upgraded to 5.0 or above. This doorbell can be easily installed and you won’t need the help of a professional. You get real-time alerts and two-way communication so you can freak out new visitors and welcome friends and family in style. Each recording will be stored and your access to these videos will be determined by the type of package you’ve subscribed to. There is a free package that gives you free access to the previous 24 hours of footage. Meanwhile, a premium account will cut the red tape and give you complete access to all your recordings. What’s so special about this wireless doorbell from August? It has a bright floodlit display that will activate when motion is detected by the door. This is perfect to see who has the audacity to interrupt your Game of Thrones marathon and is also a great deterrent to burglars. These wireless video doorbells will also start recording before people approach the door. It offers hindsight innovative software here that can allow you to see people trying to break into your car, stealing mail, etc. The only negative to this model is that it doesn’t have any motion zone settings. This means random wind might set them off. If your front or back garden doesn’t have any larger trees then you won’t have this little problem. We know said smart motion sensors were important, but the rest of this device is so good we still wanted to show it. If you’re the owner of an August smart lock, you can even open the door via your device. 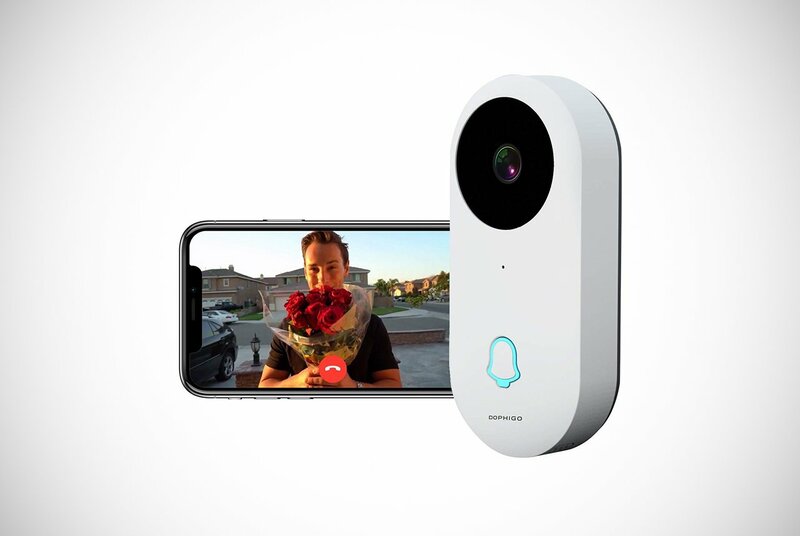 The technology and connection between the lock, video doorbell and your device will allow you to recognize family coming towards the door. With this, you’ll be able to send a command to open the door. This will be especially convenient for older guys with sports injuries who don’t want to get out of their chairs. It’s just very cool and we wouldn’t blame any young guy full of energy from also wanting this feature. The next wireless video doorbell comes as part of a package. In this package, you get a Ring Video Doorbell and an Echo Dot device. The Eco Dot is a compact voice-controlled device that can be connected to Alexa products to play music, make calls, and check the score among other features. You could pair it to an Amazon TV and ask it to show you the door when you get a visitor notification. Did you just realize we made it to “the future”? These wireless video doorbells can connect to existing wiring and its faceplate can be changed to one of four other designs. This allows it to match your property’s exterior. The manufacturers recommend an average installation time of just 15 minutes. You have the ability to have two-way conversations with visitors from the comfort of your sofa. You can also watch your home’s entrance through a 1080p HD camera from anywhere in the world. To top it off, you’ll be made aware of any motion detected via notifications. The motion detector system has the ability to zone in on certain spots and ignore motion in other areas. This will stop you getting irrelevant notifications from various wildlife and leaves. The story is the same on this Ring model as it was on the first one. If you don’t use their cloud service then there are no extra costs to consider. However, they do have a basic plan where you can save your videos. Of course, their premium plan has more benefits including the biggest one of all – 24/7 monitoring. It’s well known to those in the industry that Netvue makes some of the best wireless video doorbells on the market today. It can be paired up with Apple, Android, and Echo devices. It works via the Netvue application and this app will require your device to be upgraded with iOS 8.0 and above or Android 4.4 and above. The application has a lot of cool features on the customer service side as well. Netvue really outdid themselves here. Inside the application, there is a live chat feature and a free phone number you can access to get free installation and operational support. You can also share recordings to family members on the app. It has a two-way conversation feature, allowing you to put on your best Darth Vader impression and scare off your daughter’s new boyfriend. This communication technology includes a noise-reduction chip so background noises and adverse weather isn’t going to make communicating difficult. Other cool features such as the visitor notifications allowing you to know someone has arrived is great. In addition to the exceptional wide-viewing camera, giving you the ability to see callers clearly at night in HD. This can even be added to existing wires. However, more features are present. The motion sensor on this model is more advanced than what we’ve seen so far. It can focus its sensors into certain areas so you don’t get bombarded with unnecessary notifications, but it has something more. The motion sensor can also be put on a timer. Instead of just focusing in on certain areas you can also turn the motion sensors on and off at certain times. You may want to turn it off during the day, when a storm is brewing, or if you’ve just put the cat out. On the application, you get the choice between a free plan which will record recent visitors and happenings. However, you can opt into a paid premium plan that will store your recordings for a full week. When you buy through Amazon you’ll get a free 14-day trial of their premium plan so you don’t have to decide just yet guys. 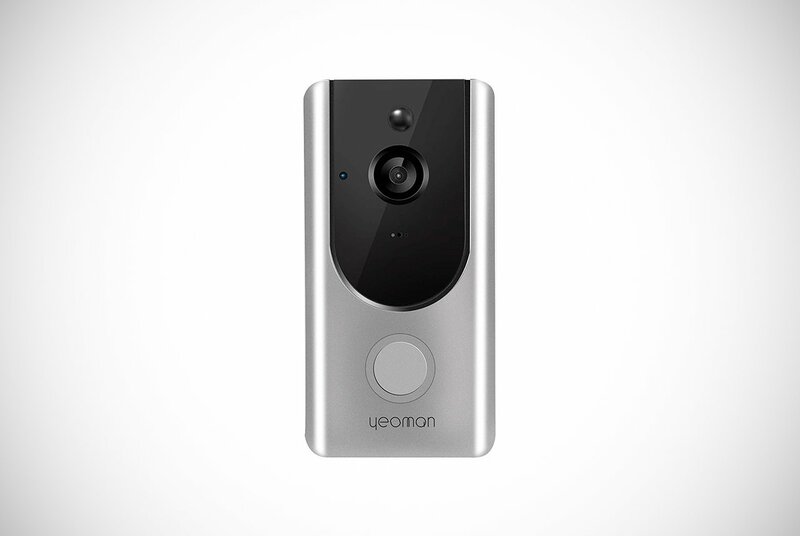 The Yeoman Video Doorbell is a popular option for first-time buyers. Enthusiasts of wireless video doorbells absolutely love it. A quick look at its most prominent features and it’s easy to see why. You can add this indoor-chiming product to your home by using rechargeable batteries that have a whopping six-month standby time. You could even decide to connect it to the existing wiring. It also has an outdoor certification IP65, so you can be confident that it won’t falter in any weather condition. It also comes with a lifetime cloud service. No more forgetting to cancel free trials and paying each month to store your recordings! Yeoman swallowed up a chunk of the market with this exceptional offer that will store the last 7 days of recordings absolutely free. It device comes with an 8GB SD card so you can save these recordings, keep them, and transport them with you. It’s all operated via a free smartphone app that includes lots of benefits. You can control the camera from this application by swinging it from left to right to check your blind spots before opening up to unfamiliar faces. This is on top of its 180-degree wide angle view. Once you’ve decided to answer the door, you can communicate with two-way audio while looking at your visitor through the camera. Other noteworthy features include a motion detection system that allows you to zone in on the key areas of your entrance. This also gives you the ability to see your callers in crystal clear quality, even on an evening. 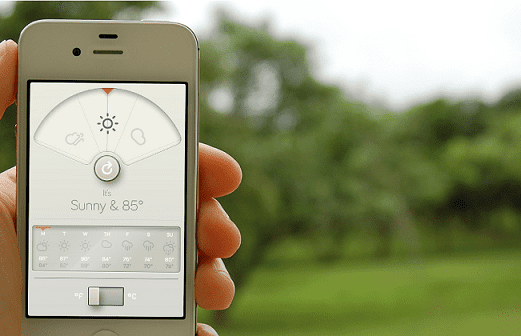 In fact, you can manually adjust the sensitivity controls of the night vision to your preferences. 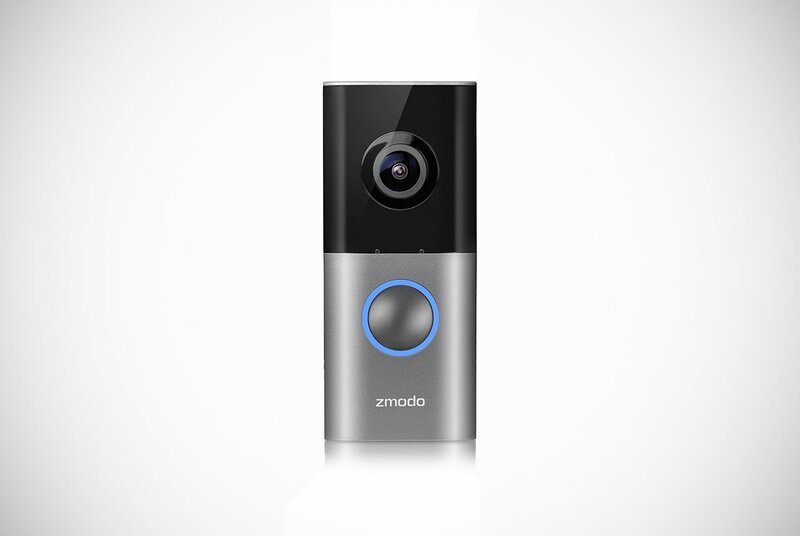 One of the best HD cameras fitted to one of these wireless video doorbells is the 1080p HD camera on Zmodo’s model. It also offers 180-degree viewing so nothing goes unnoticed from the comfort and warmth of your home. To install this nice design to your home you’re going to have to attach it to existing doorbell wires. Sadly, it’s not a battery-operated model. The Smart-Device connection will notify you as soon as somebody rings your doorbell. You’ll be given a couple of options on how to handle this as well. You could just decline to answer it and get back to watching the football with the guys. Of course, you could also decline it and send a pre-recorded message to let the visitor know you’re currently busy or that you’re not home. You could even make use of the phenomenal two-way communication technology and let them know where the spare key is hidden to let themselves in. The device also has smart motion sensors to detect movement in certain areas. This way, you only receive alerts in instances that are likely to be a visitor approaching or an intruder sniffing around. Of course, this is how you’d want things to be. You can pair this device off with any of Amazon’s Echo range. You can get cloud services for free if you only need recordings from the previous 36 hours. To get a backup from the last seven days you’ll need to start paying, unfortunately. 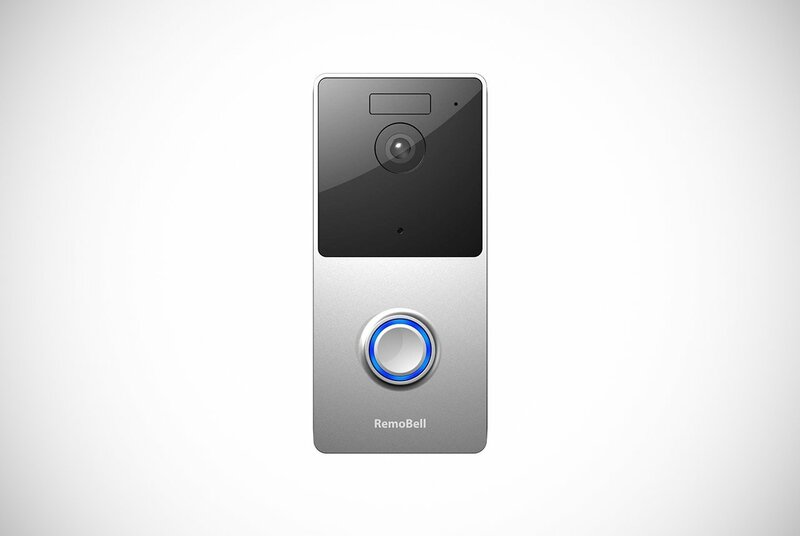 Remo makes some really cool-looking wireless video doorbells. 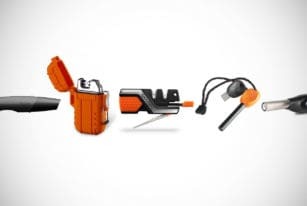 6AA batteries power this sleek and smooth device and they come with your purchase. You do have to pay for cloud services, but the 30-day plan is one of the cheapest we’ve ever seen. It works via the “RemoBell” application, which you can use for free. The app is one of the best of its kind and even has a recent activity report with a calling log and a timeline with information about who answered the call. This app even lets you add up to five users – perfect for a family! It has a 720p HD camera and the obligatory two-way communication system you’ll love. They will even notify you of anything you need to know via the app on your smart-device of choice. Allowing you to remain in full control and not leave anyone out in the cold. You can check in when away on vacation to make sure everything is as it should be. If someone steals it, you can send a copy of the police report to the sellers and you’ll get a brand-new replacement for free! It also has a clever motion detector that uses a technological process to decipher between innocent movements and motion you need to be aware of. Its sensors look for motion normally and via heat sensor. These heat sensors allow the WiFi doorbell to pick up when a troublesome human is lurking outside. As well as when the movement is something not as sinister. People know Dophingo well for their impeccable wireless video doorbells and it’s easy to know why that is so. With a great design, you can pair this device up with both Apple and Android devices. You can add this to your property by hooking it up to your current doorbell wires or you can leave it as a wireless WiFi doorbell. If you go with the option to use it with the batteries, you’ll love the fact that they include them in the order. You can even recharge them for multiple usages! On its controlling app, you’ll find a group-chat feature and a way to share your recordings among the family. You can pair the device up with multiple smartphones and tablets at once. Parents can literally yell at their kids to be quiet, well, digitally – all from their bed. It has two-way communicating that you can enjoy on your end through a 960p HD camera. It has an infrared night view so you can capture after-hours visitors in plain sight as well. It’s also dustproof and waterproof and it comes with lifetime theft protection. If someone steals it, simply provide the subsequent police report and they’ll give you a brand-new replacement. It even includes a free lifetime cloud service. You had our curiosity, Dophingo. Now, however, you have our attention. Who’s still here? 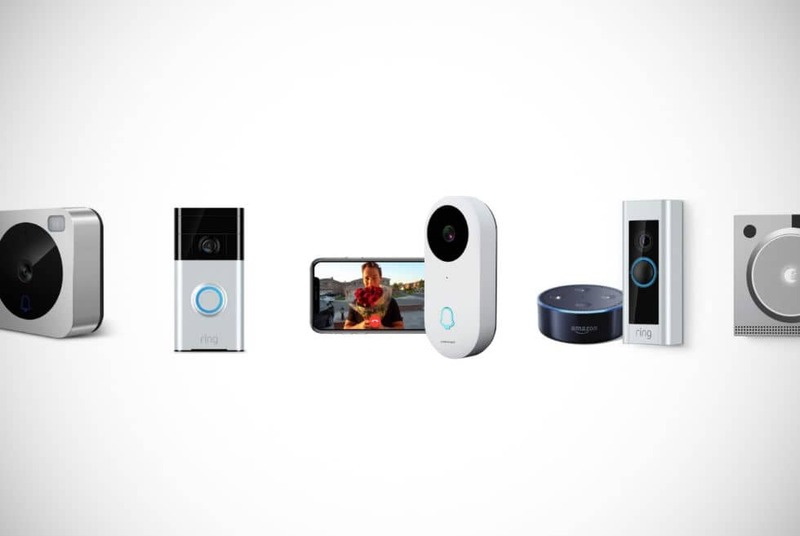 You made it to the end of our best wireless video doorbells list without whisking away to buy one of these phenomenal video doorbells. We hope this is because you wanted to see all of our top picks and not because you didn’t find one you like. We’ve shown you some quality designs by renowned manufacturers that offer some unique features that you won’t find anywhere else. Most are just looking at wireless video doorbells for their home simply for a little bit of convenience. Some just want a cool product to impress their buddies. However, more go toward wireless video doorbells because they are trying to keep your family safe. We feel on our list, there’s a video doorbell that will be perfect for you and your family. Thanks for reading and be sure to visit us again soon – we promise to let you in. 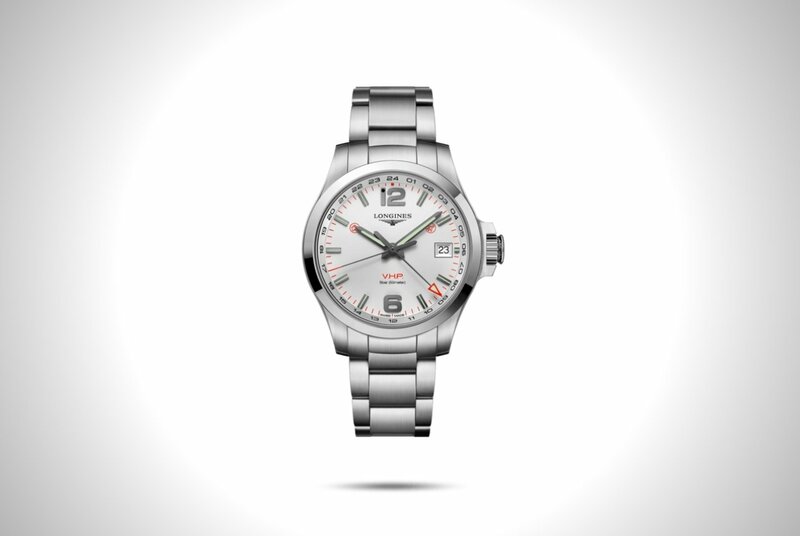 In essence, the Longines Conquest V.H.P. GMT is a contemporary timepiece that smartly uses cutting-edge tech to make timekeeping during travel a breeze.